If you can’t tell by now, I love good food, so it’s probably no surprise that I love watching the Food Network. I love drooling over the amazing meals and want to sample everything! 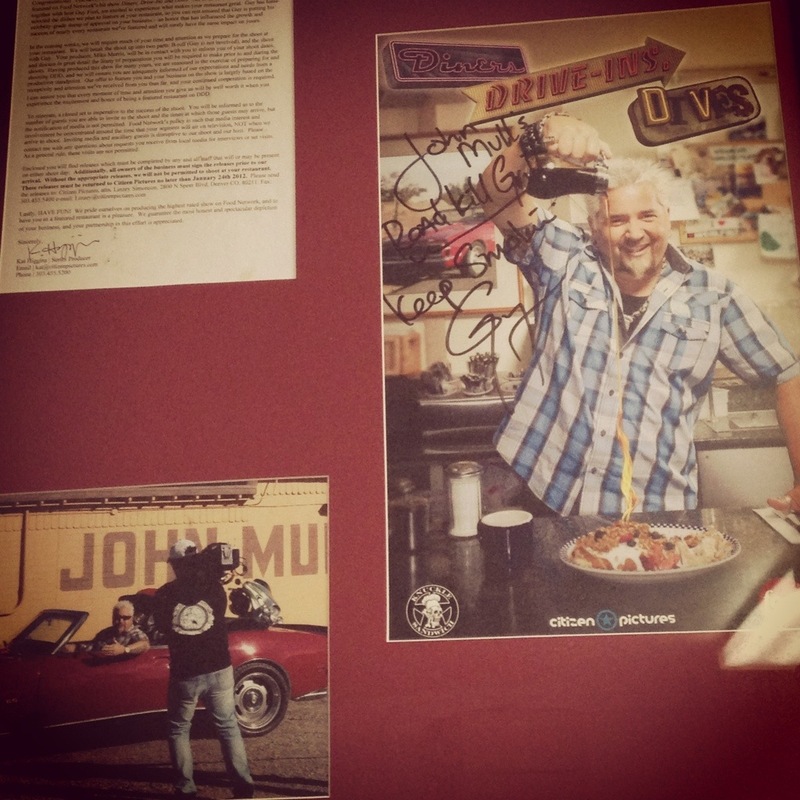 My boyfriend and I have tried to visit as many restaurants that have been featured on the Food Network as we can. We went to quite a few when we lived in Seattle, so it’s about time we start exploring Las Vegas through our stomachs as well! 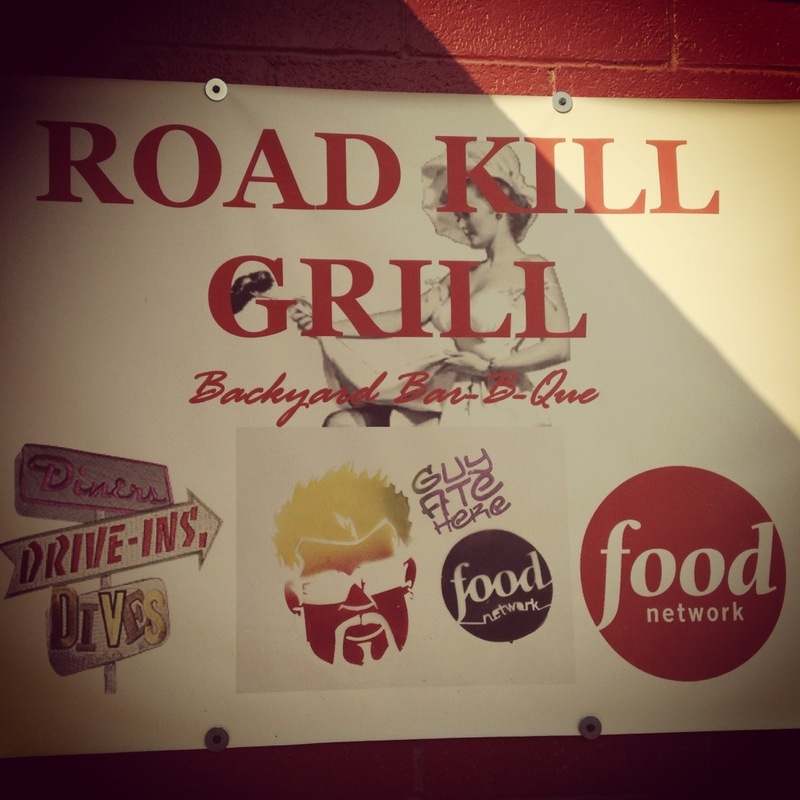 First stop: Road Kill Grill, which was featured on Diners, Drive-Ins and Dives. Don’t let the unappetizing name scare you away; it is delicious! Located on a residential street away from the strip, this place is truly a hidden gem. 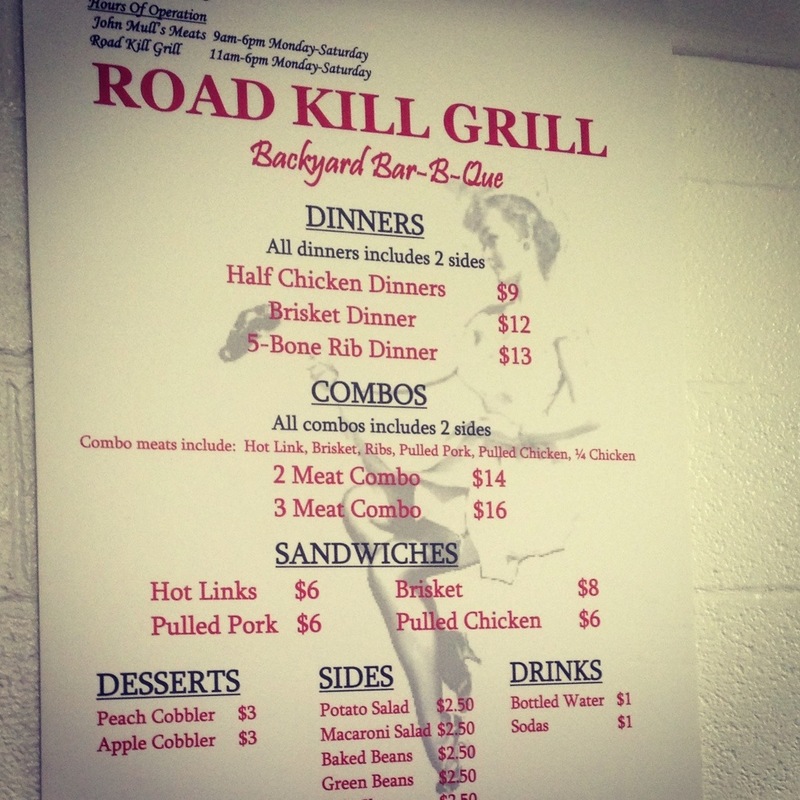 From the second you walk in, the smell of barbecue sauce surrounds you and makes you hunger for everything on the menu! We ordered the brisket and ribs. The brisket was pretty good, but the ribs were my favorite! There is a lot of meat that easily comes off of the bone. Honestly, anything with their barbecue sauce will be delicious! You get the choice of regular or spicy and both were very tasty. The sides were also outstanding. The baked beans and mac ‘n cheese were my favorites. 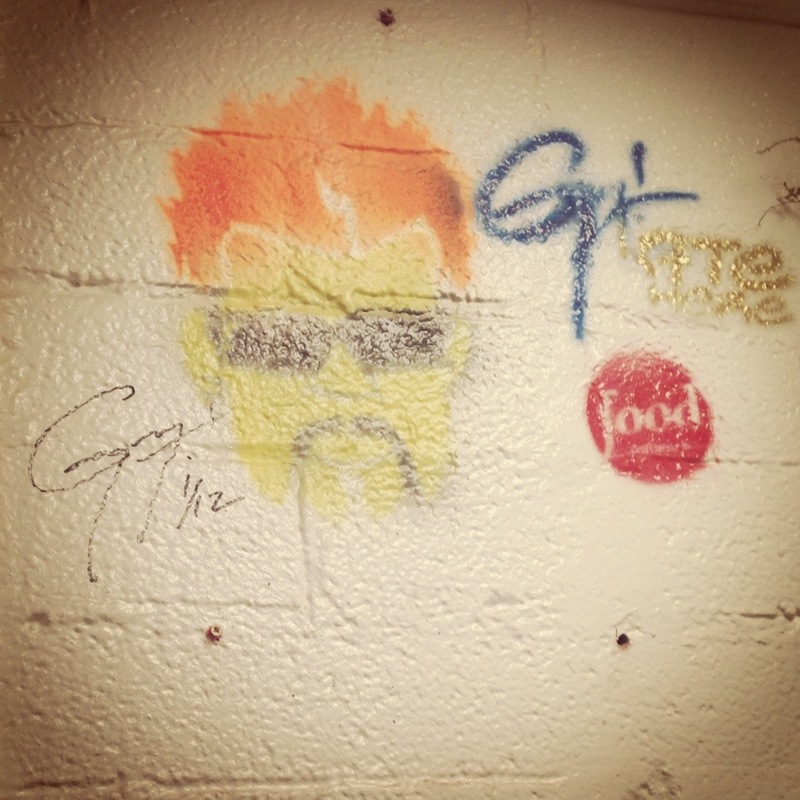 It’s no wonder why Guy Fieri wanted to come visit! 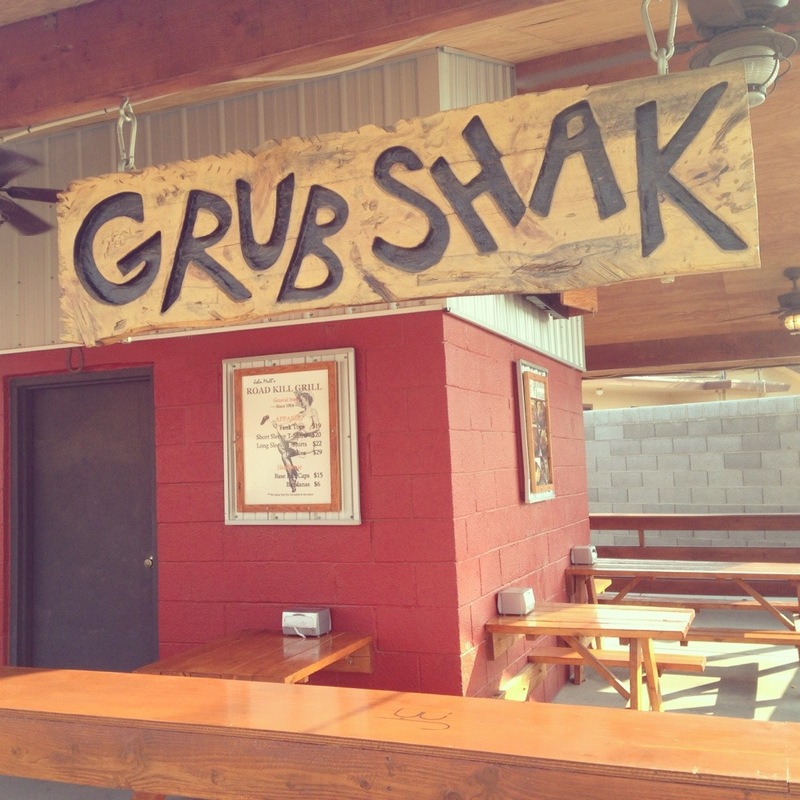 You can either eat outside at the “grub shak” or take your food to go. 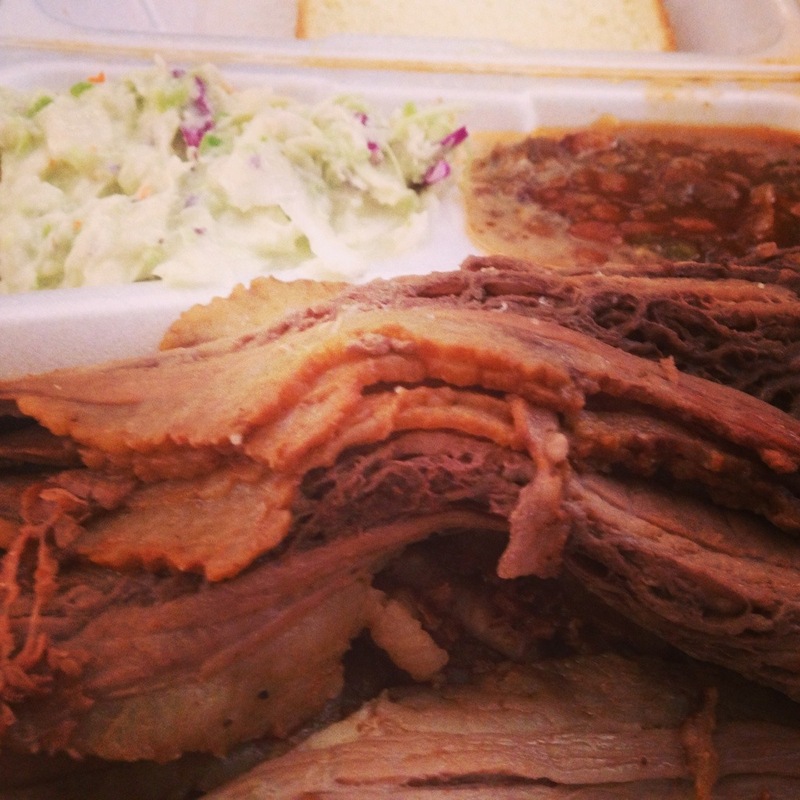 Since it was 112 degrees outside who chose to eat in the comfort of our air conditioned house, but the grub shak looks like a fun place to enjoy some amazing BBQ! Another Food Network restaurant checked off the list!